Kalloni. 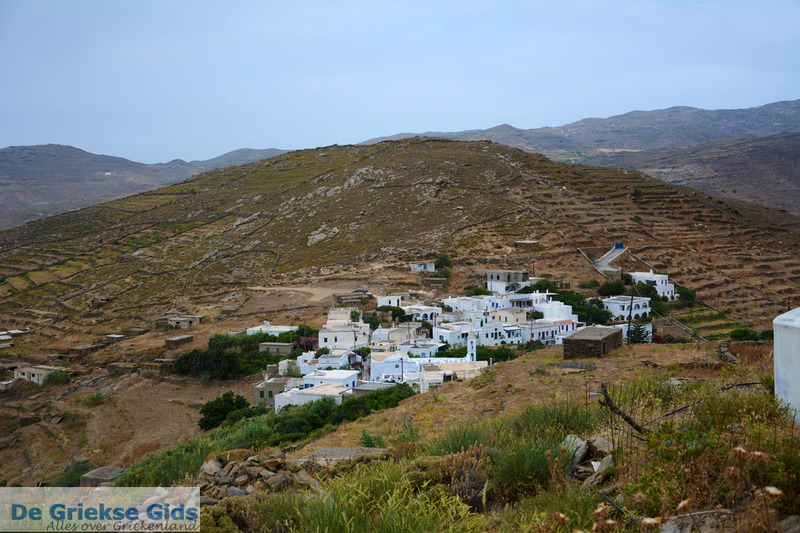 Kalloni is a town on the Greek island of Tinos, centrally located on the slopes of a mountain, in the middle of greenery. 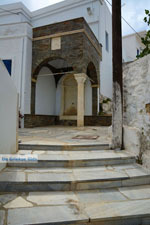 Previously, it was called Kelia and it was well known for the handwoven carpet and rug school which was located here. 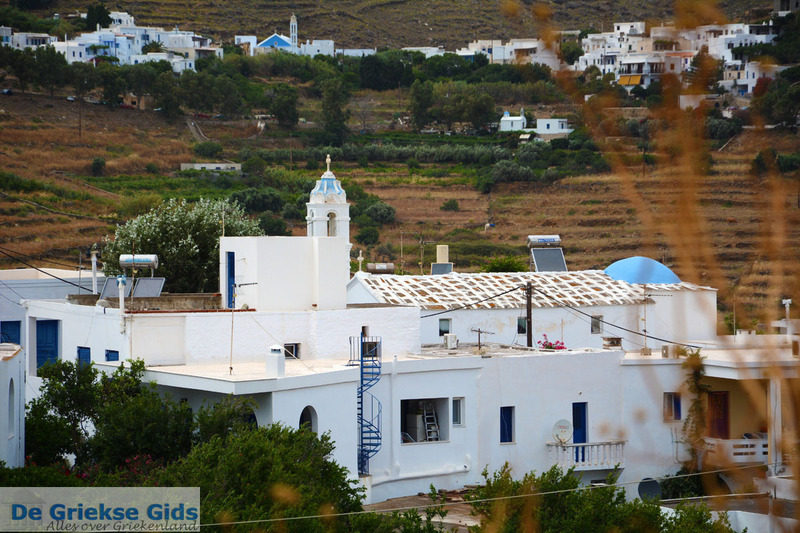 In the village there are several churches, such as the church of Aghios Zacharis, the patron saint of the village, and the churches of Aghios Ioannis, the Holy Mother of Lourdi and Agia Leoussa. 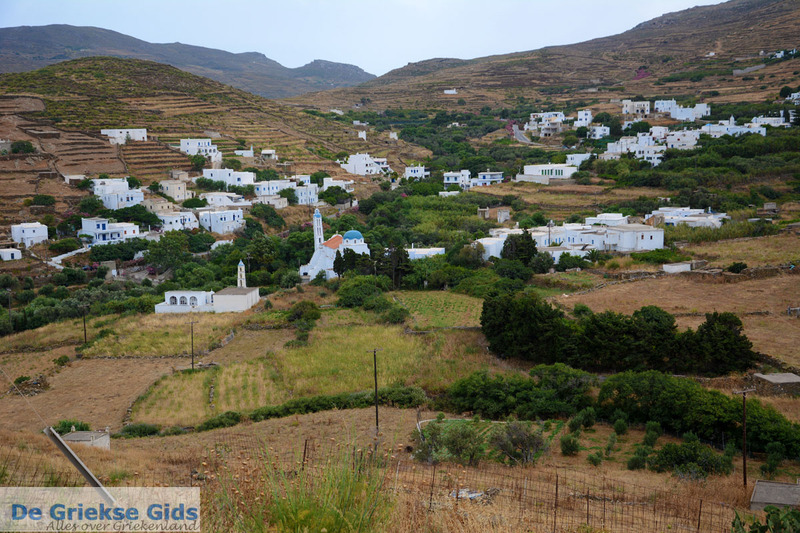 The village is divided into three districts: the Apano Kalloni (Above Kalloni), the district Koulparia (lower) and the district Kalozados (center and east). 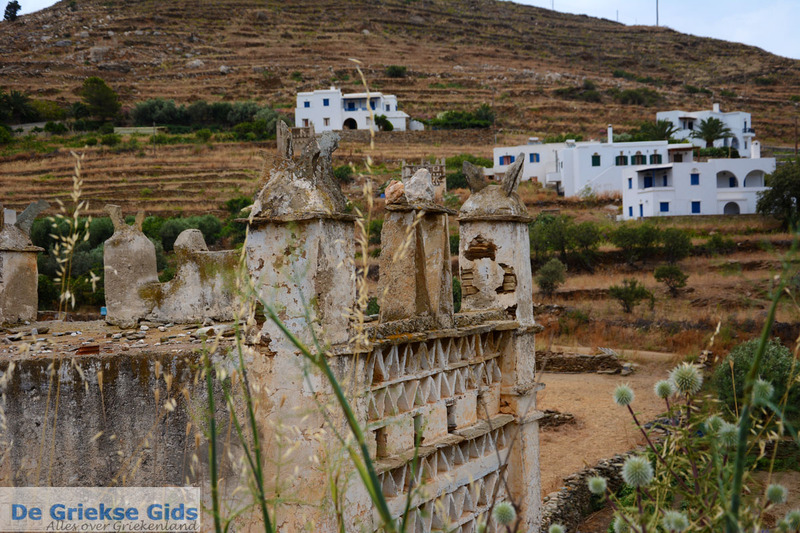 When you approach Kalloni from Tinos Town (Chora), you will first see the war memorial in honor of villagers killed here during the Second World War. 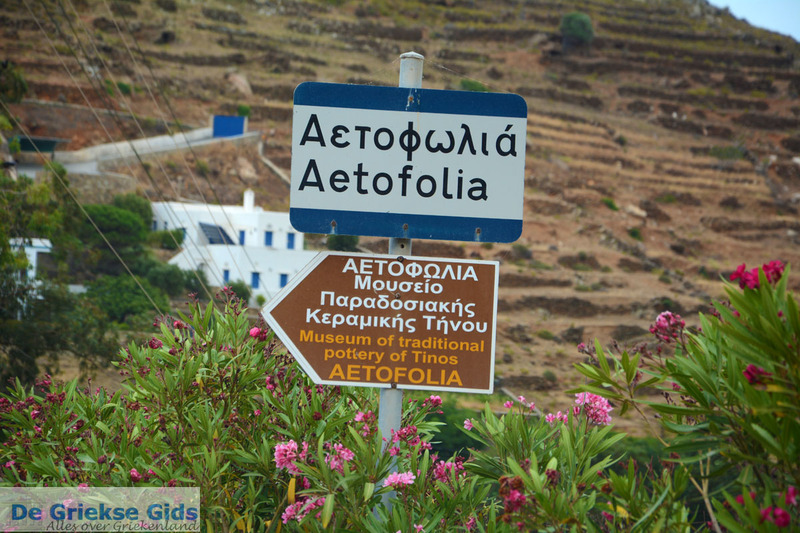 A little further is the old elementary school that today serves as a kindergarten. 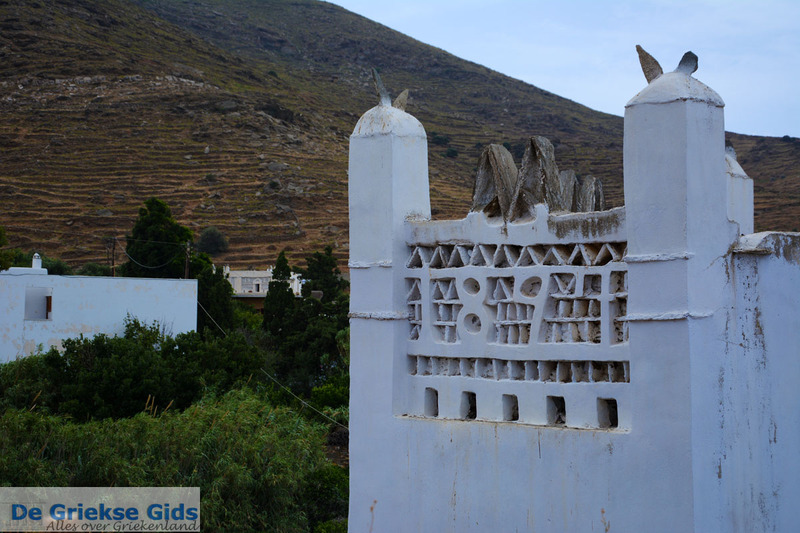 Strikingly in the village are the marble springs, and, as in other villages on Τinos, the intricately decorated pigeon houses (dovecotes). 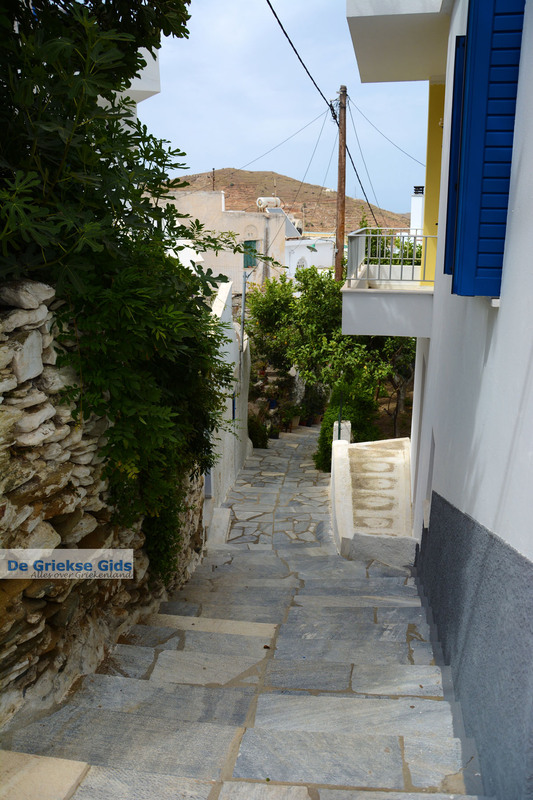 Seeing narrow alleys, and white houses with blue doors and window frames, you immediately know you’re in the Cyclades. 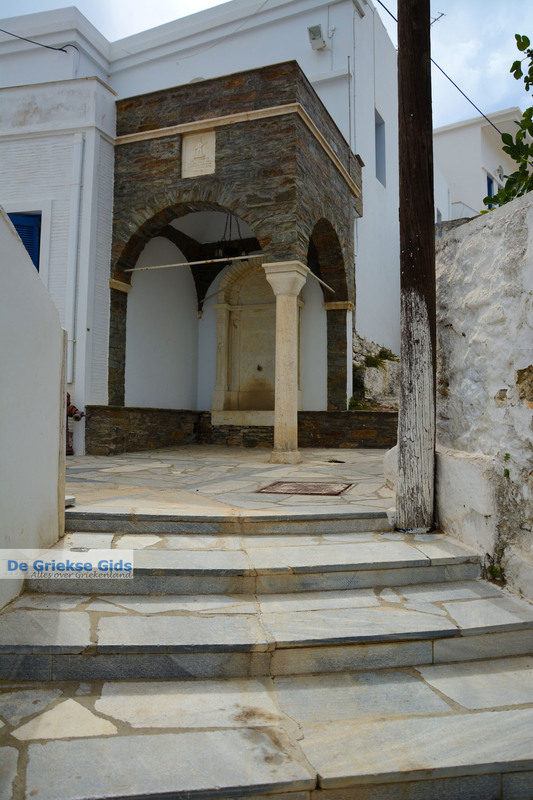 In Kalloni, you will appreciate the archways as you take a pleasant walk through the village. 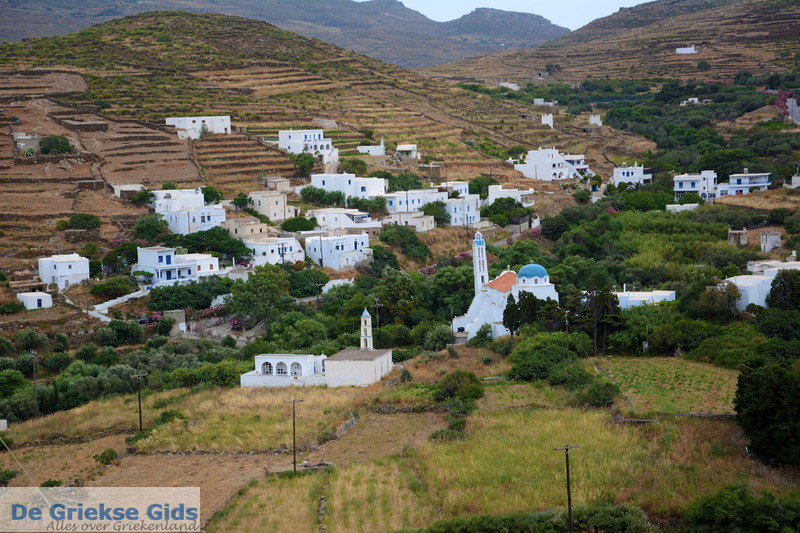 Annually on November 5th, a popular festival in honor of the Holy Zacharis takes place. On August 6th is the feast of the Transfiguration (Metamorfosi) of Jesus. 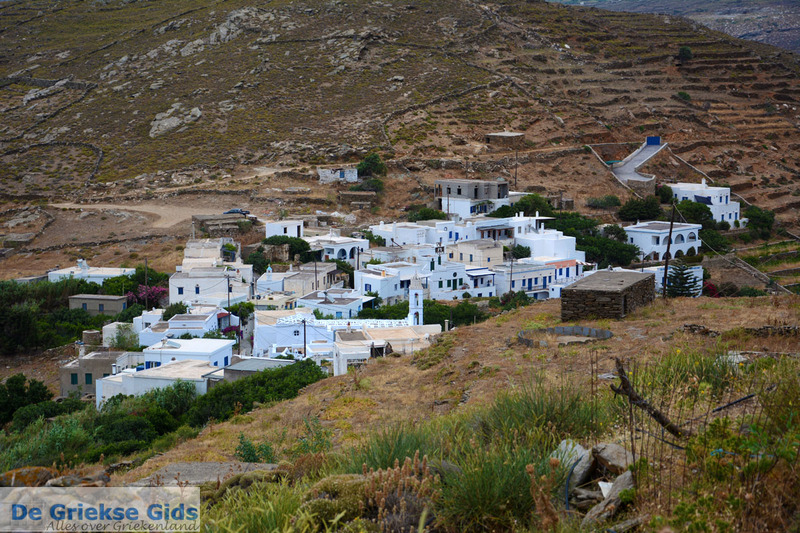 Kalloni, about thirteen kilometers (8 mi) from Tinos town, is now home to approximately 150 people. 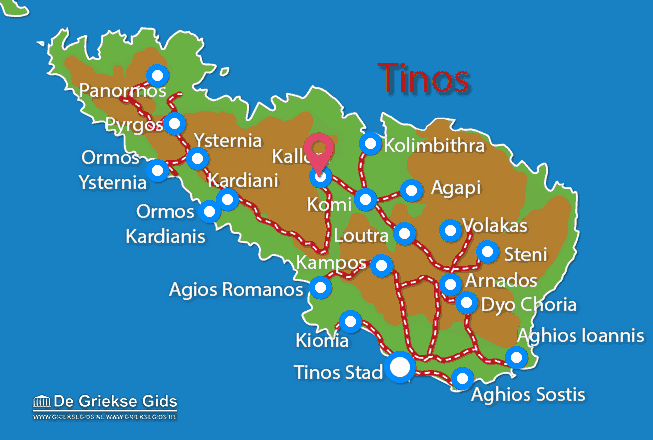 Tinos: Where on the map is Kalloni located?